Should you use Marketing Automation for your sales outreach? Using a software to help the sales people contact prospects is nothing new. Almost every CRM on the market has an option of sending emails. And professionals have been using them to do their sales outreach. In his book titled “Predictable Revenue”, Aaron Ross talks about a whole idea built around “Cold Call 2.0”, where he elaborates on sending cold targeted emails, which is something Sales Development Reps (SDRs) should do to start a conversation. The idea is to spend less time on the phone, cold calling people that probably don’t give a damn about your business, and more time researching and creating a compelling email to start a conversation (or at least get it sent to the right person in the company that you’re trying to reach). This is how companies can create a scalable and predictable sales machine. Cold Calling 2.0 means prospecting into cold accounts to generate new business without using any cold calls, executed systematically in high-volume. You need information to send the best possible message. You want context. You want the right data. You don’t want to send an outreach email that is so generic that people will just forget about it. Creating emails that will look and feel like you actually took your time to write each one of them. You need to work with the form (especially using only plain-text, and sending it using your own email, not through something like [email protected]) and the content. Think about your reaction when you receive this email yourself. This sounds pretty obvious, don’t you think? Of course you have to take care of the information and the look of the email. How can you put this idea into practice with your team? You can use a Marketing Automation platform (MAP). I mean, you can use 90% of this post with every MAP out there, but the best 10% only Route will deliver. But, of course, this is more about the concept of our strategy rather than the software behind it. Data, data, data (sounds similar to the classic quote that Elaine from Seinfeld says “Yada, Yada, Yada”, right?). Everyone is talking about data – big data, small data, whatever data. Data is supposed to help businesses grow and help startups scale their efforts. Sounds great, but when there’s a lot of data out there it’s easy to get confused by it. And working with bad data is as bad as no data at all. So, if you want to start your Cold Call 2.0 strategy, you need to first think about what kind of information you need in order to send the best possible email. First of all, you have to decide what kind of companies might be interested in your offer. Then, you’ll probably need a name, email, and the job position of your prospect. You don’t want to talk with someone that can’t make any decisions in the company that you’re trying to reach. You might also like to know the company size, the clients they have, and if they already work with one of your competitors. What are the problems they have that only you can solve? You can even look for data to check whether this company knows they have a problem that you can solve in the first place! Well, you need to think about your business and its USP to decide what kind of information you need to look for in order to craft your value proposition when engaging with your first cold contact. But how can you get this kind of information? Getting leads from Inbound Marketing is a proven way to scale lead generation. You create a scenario where people come to your company and share their information in exchange for something valuable to them. Usually, it’s not an SDR that’ll be active in generating Inbound Leads. These guys would be the ones that your Marketing Team (if you don’t have a marketing or a sales team, someone will end up having this role in your company/startup) has qualified via Lead Nurturing until they reach a point where they go from MQL (Marketing Qualified Lead) to SQL (Sales Qualified Lead). Now, you might be thinking “But, if this lead already knows my company, it’s not a cold call or cold email if I contact them, right?”. Well, that’s quite true. But it’s also true that a lot of these people will end up not hiring your services or buying your product. They might be dormant on your CRM. You have their information. You know they once were interested. So, it’s time to re-engage them. When you sift through your CRM searching for cold accounts that were once qualified by your Marketing team, you’ll probably have all the information you need to start a very targeted conversation. What you might not know now is whether this person is the one that you should talk to. But this is something I’ll discuss in the messages topic. However, remember – cold accounts that were once qualified for sales are an easy way to start your sales outreach strategy. Another way to look for prospects and get their information is by actively searching for them. You’ll have to select the companies you want to contact. Search for the emails of the decision-makers. Scour the web to get the data you need in order to avoid sounding like a robot when crafting your messages. The experienced guys (and almost all decision makers will notice this when they are receiving another sales pitch from a company) would be easily able to smell your lack of customization from miles away. They’ll know you put their email to a list and just hit send. Once, I started prospecting companies with information from Crunchbase, Ghostery, Datanyze and LinkedIn. I did this to create a table of companies/startups, the technology they use or used, whether they already work with one of our competitors, to look for decision makers on LinkedIn and get their emails via Datanyze. Just to start with Cold Call 2.0. It took time, but as we were starting out, we knew we had to do things that might not scale (Paul Graham’s advice). One of Route’s customers created a prospecting machine where they used BuiltWith to create lists of companies using specific technology that they wanted to target. With this information, this startup created its own web scraping tool to get names and emails. With this information at hand, they started sending segmented cold emails and they have been getting good results from it so far. If you don’t want to do this prospecting in-house, there are companies like Growbots and Spaceship.Rocks that offer a service to make this process of outbound leads prospecting easy. You can choose to go with Inbound Leads, or you can choose to go with Outbound Leads. Or, you can have them both! At the end of the day, the decision about what data you need is all that matters. If you go with Inbound, be sure to collect all the relevant data for your company to act on, with your forms. If you go with Outbound, find ways to get the data you need by either scraping the web or by outsourcing this task. First, decide what you need to know (strategy), and then use all the available tactics to get this information. If you don’t think about it before acting, you’ll end up getting lost. Now that you have the data you need, it’s time to create the messages that you have to send your cold emails. My first advice is to try hard to write a short email. Don’t add a lot of text and paragraphs explaining your whole company mission. You don’t need to sell your product on the first email. Remember, this is your first contact. Write a message to start a conversation. Give some context. For example, you can use data you collected about the company’s pain points and how you can solve them. But don’t sell anything yet. Just mention you have something interesting to offer. Use information about the job position and the company of the prospect to set the right tone. Some startups might like a more informal message. Maybe talking with the CMO requires a different tone than talking with the CTO, for example. Enterprises might think you’re not serious enough if you don’t get all formal when messaging them. Well, if you did your job well you’ll know how to communicate with them. Pay attention to the presentation of the message. Don’t use fancy HTML. Plain-text is the way to go. I believe that 90% of the time, the content will be more important than the form, but when sending cold emails, both of them are important. Use your own name and work email as the sender. Don’t use things like “My Company Team” as the name and “[email protected]” as the email. I know this is obvious but it’s good to remind you not to make this mistake. After creating the message, read it a couple of times. Do a reality check to see if you were the one receiving the message, would you believe it was written just for you? Or is something a sales person wrote to a lot of different companies? This kind of revision includes not sending 1000 emails in one day. Send the right amount of emails taking in consideration email opens and reply rates to be able to respond to them as quick as possible. It won’t give you results if you send a nice email that people will reply to if you take a lot of time to keep the conversation going. 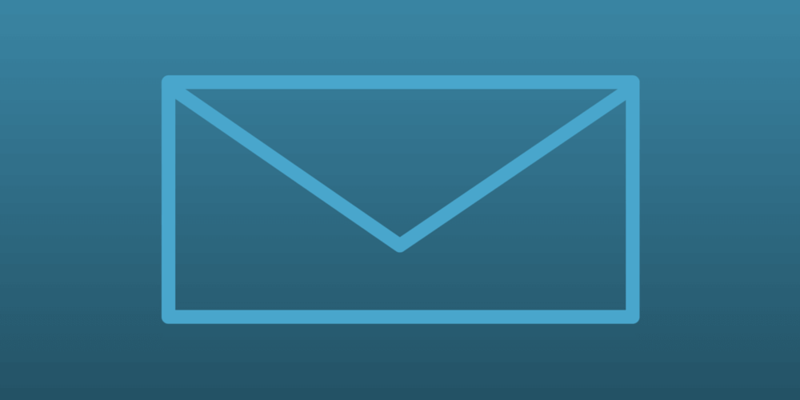 Now that you have the data and the perfect message, it’s time to start with your cold emails. Cold Call 2.0 is a strategy to build a scalable and predictable sales effort. If you want to accomplish this, you’ll need to use a tool to send your emails. I suggest you to send a few emails manually. This is a good way to make the email look like a message you actually wrote, because it will be true! You created it and tested it. After that you use a tool to automate and scale your sales outreach. Marketing Automation tools can help you with that. Few months ago, I read a post on Sales Hacker with the title “Stop Using Marketing Automation For Your Sales Outreach“. If your prospect is using GMAIL, your messages will end up on the Updates or Promotions tab. People know that those messages were sent from a tool and it will be hard to convince them your message was only for them. Anyone that takes a look at the email header when opening it on their email client will see information about the tool it was sent. Even knowing that sales outreach using Marketing Automation or CRMs gives results. There are some tools in the market that are in the Sale Automation field (they let you connect and authenticate your own email account, so you use their tool but send messages from your own email account) and a lot of sales people get value from them. The problem is that they lack all other data collecting features that Marketing Automation platforms offer. And as I explained in the beginning of this post, data matters a lot. And if you can collect it automatically, it’s even better. Ok, but this section has “like a boss” on its title and just sending this outreach with Marketing Automation tools doesn’t qualify you to be automating your sales outreach like a boss. You need Route to do that! Since the beginning we believe that marketers and sales people must work together for the company achieve the best possible results using Marketing Automation. I discussed this in our last post about the fundamentals of Marketing Automation. That’s why, on Route, we’ve always had two types of emails: Regular (e.g. for marketing communication, onboarding, transactional messages) and Personal (e.g. for sales outreach). For a while, we were only playing with our users mindset to make them create emails with fancy templates using our Regular Email and to create plain-text only short emails with our Personal Email. But they were actually the same. Both were sent by us. Email Clients and technical people would know it was sent from a tool. Recently, we decided to change that. We incorporated the idea of Sales Automation tool into Route. We let users connect and authenticate their own email accounts. The result will be this: they will create the message, set the triggers, add dynamic attributes and automate the sending with Route but the email will be sent by their own email account. The emails will be in their own “Sent Email” tabs. This means all emails will be delivered to GMAIL’s Inbox tab and there is no way for someone to find out whether it was automated. If you’re prospecting your cold accounts, there’s a great chance you already have all the information on Route. You could even create automated flows for, let’s say, targeting people that don’t engage with you after 6 months. If you don’t have those contacts on Route yet, just import, send your message, and start keeping track of them. What I’m saying is that you can use Marketing Automation for your sales outreach. You can choose the tool you think is better for your company. But, if you want to do this like a boss and get the benefits of Marketing Automation and Sales Automation in one tool, you MUST use Route.